i had some mac-specific bugs to fix this morning so i didn't go to the office until noontime, instead working from home. 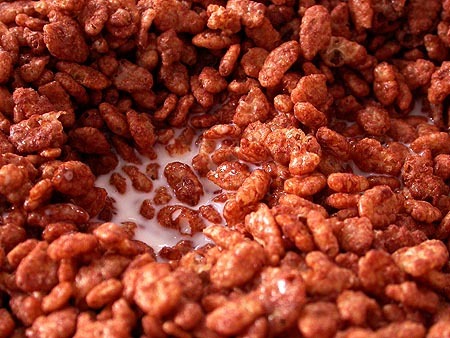 for lunch i had a bowl of cocoa krispies. after work i came back to find my mother waiting at my place for my aunt to find up a wash at the local laundromat. i'd wanted to go running but decided to skip it until tomorrow. she had brought over a container of fried rice which i ate for dinner with some tabasco sauce. when my aunt was done they left to go back to the cafe. i fell asleep briefly while watching the red sox game, the home team secure in another road victory. i thought it might be cool to go down to NYC this weekend to see the debacle of the republican national convention, but i think i might go camping instead. it's not the camping part that drives my interest, but rather the kind of nature i might see. the more remote the place the better. i want to go so far that i don't see or hear anybody else around. the wilderness plus the isolation appeals to me. sleeping in the woods does not.